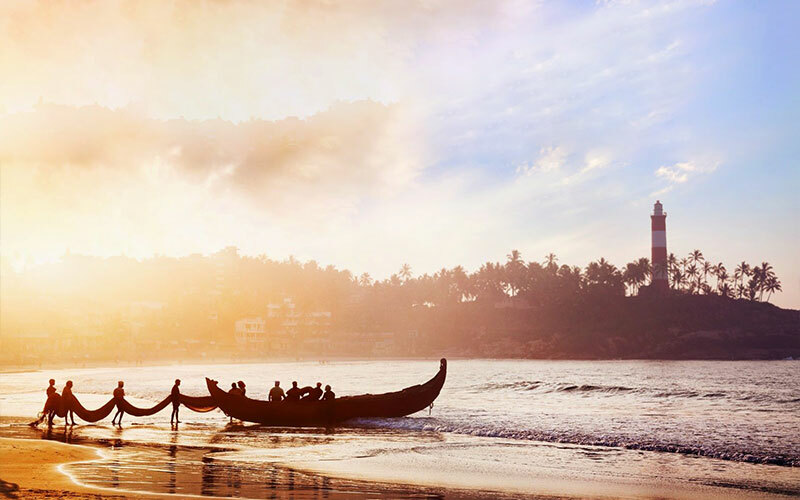 The states of southern India present an excellent mix of vibrant culture, varied wildlife and picturesque beauty. Whether it's Tamil Nadu, Karnataka or Kerala, each of these states is know for its own uniqueness. The towns of Mahabalipuram and Kanchipuram in the state of Tamil Nadu are popular religious destinations. On the one hand, Mahabalipuram brings the mythological history of Mahabharta alive so beautifully. On the other hand, Kanchipuram offers you an opportunity to visit as many as 70 temples, dating back to the 2nd century of Chola dynasty. Bangalore, the capital city of Karnataka, is visited for its temples, palaces and gardens – plus the salubrious climate. Enjoy your time at Bangalore before travelling to Mysore, which has the most famous Mysore Palace. Explore the history and Hindu-Muslim architecture of India in the city. Next, drive to the Bandipur National Park for a wonderful jungle safari into dense forests. After having a genuine dose of wildlife spotting, travel to Coonoor, which is the perfect place for a tea plantation tour. 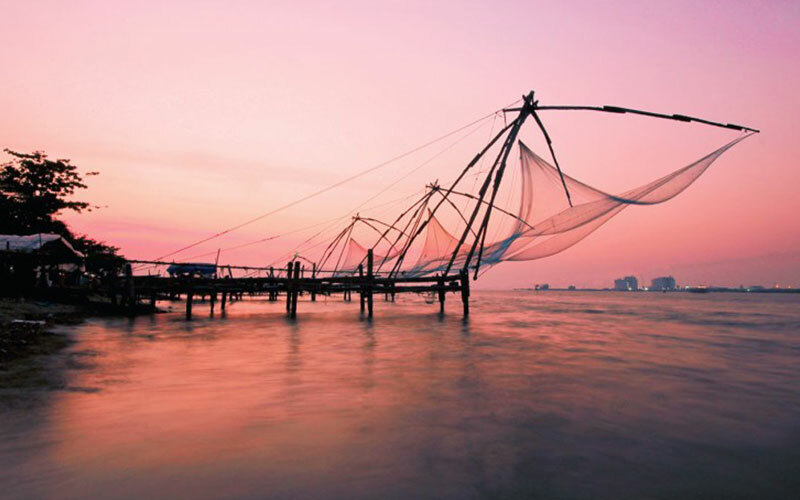 Finally, enter into the exquisite state of Kerala and head straight to Cochin, a well-known sea port, backwater destination and the place where you will spot the famed Chinese fishing nets. 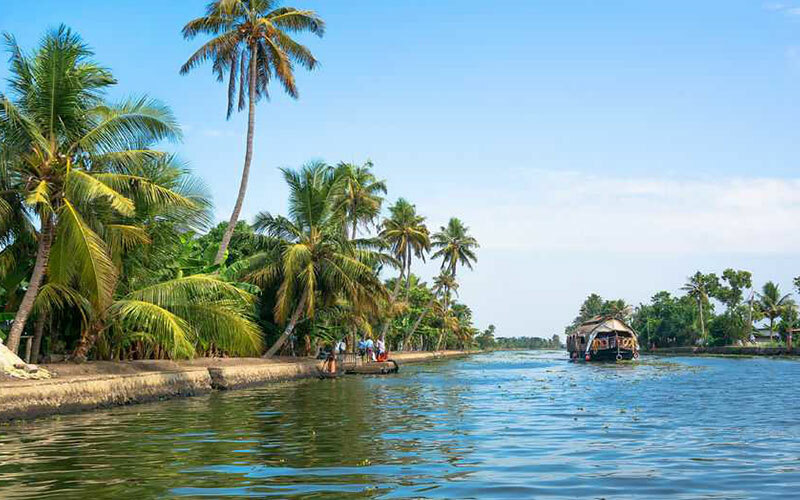 Next, get ready for a memorable backwater cruise in a traditional houseboat (kettuvallam). Have the time of your life as you sail along the backwaters, feast your eyes on the scenic beauty all around and dine in the houseboat. Next is a visit to the Varkala Beach. Finally, get to Trivandrum and enjoy exploring the tourist attractions in the city before your flight back home. The town of Mamallapuram or Mahabalipuram has many Rathas built by the Pallavas King, Narsimhavarman (625-645 A.D).The five Pagodas or Rathas at Mahabalipuram are remarkable examples of rock cut architecture. They are named after five Pandava brothers, characters of great epic Mahabharata. The Dharamraja Ratha is the biggest in size. Visit shore temple which was built by Narasimhavarman II (690-720 AD), built of bricks and stones. The structure of the shore temple is similar to that of the Dharamraja Rath. Today, we will take a excursion to Kanchipuram. 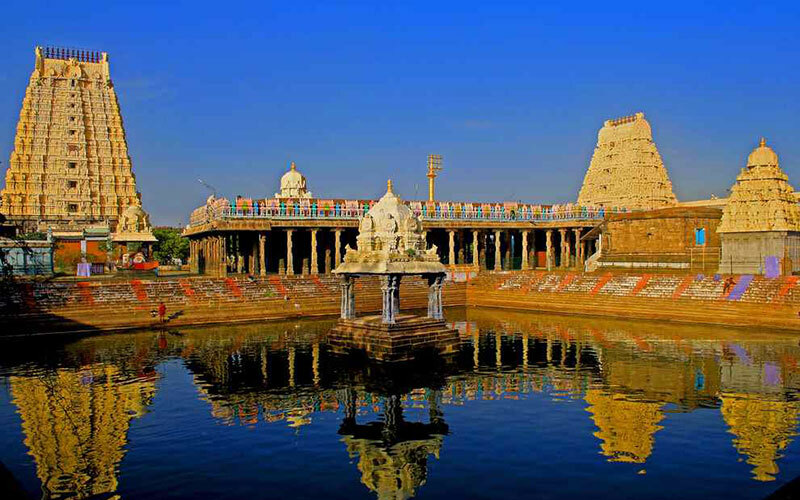 Kanchipuram is one of the most sacred place for Hindu’s also called ‘Golden city of a thousand temples' dating from the early Chola dynasty in the second century, about 70 temples in the city are still there. We will visit some of the most influential, including the thousand pillared hall of Ekambareswarar temple and Kailasanatha temple, considered the most beautiful temples in the city. (please note some temples remain closed from 1130-1530). In the evening, we will drive back to Chennai. 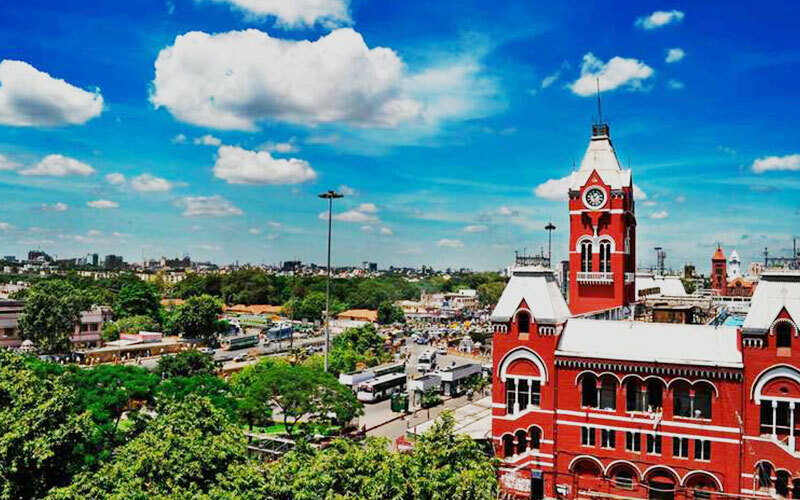 Today you will get transfer to railway station to board your train to Bangalore, On arrival at Bangalore train station you will meet and assist upon arrival in Bangalore and transfer to your hotel. After wash and change, we will explore the beautiful city of Bangalore. Acacia trees and the forest path lined with flame is a quiet and spacious town. Visit Bull temple, one of the oldest temples of Bangalore dedicated to Nandi, the sacred bull. Next go to Tipu’s Palace, which was the summer retreat constructed in 1791 AD. The Lalbagh, is a home to some of the rare species of plants. Drive past Vidhan Souda which is a magnificent building housing the State Legislature. After breakfast at hotel, we will drive to Mysore – the capital of palaces, is a admired travel place in South India. Mysore is also famous for sandal wood products. On the way to Mysore, visit Srirangpatnam- the capital city of Hyder Ali and Tipu Sultan. Upon arrival, check into your pre booked hotel and after wash, change enjoy sight seeing tour of Mysore. 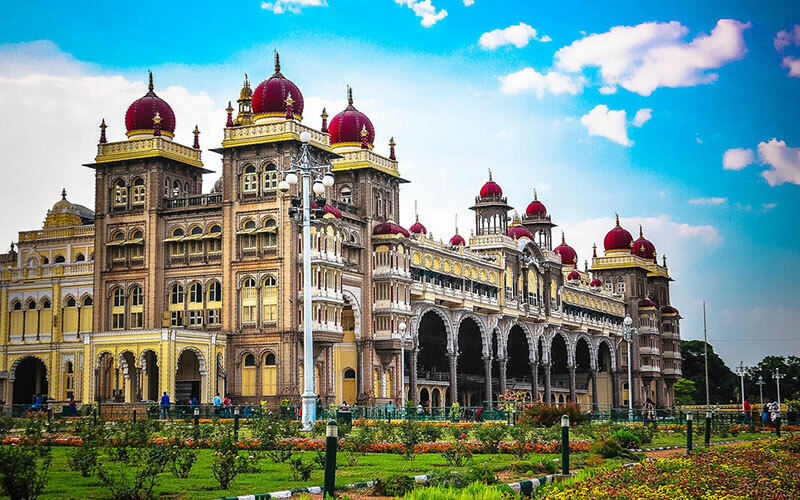 Visit Lalitha Mahal Palace (Mysore Palace) – built in 897 AD the palace has the influence of both Hindu and Muslim architecture, St. Philomena’s Church, Chamundi Hill and Brindavan Gardens-one of the most beautiful gardens in entire South India. In evening get, back to the hotel for night stay in Mysore. Today, we drive to Bandipur National Park. Home to thousands of diversity of flora and fauna in the gorgeous forests. Bandipur Wildlife Sanctuary of South India tour is a truly compelling knowledge in itself. A huge holiday spot, in the absence of the stress of city life, Bandipur wildlife sanctuary is a magnificent place to unwind with natural world by your side. On arrival, check in into the forest resort at Bandipur National Park In the afternoon, we will take a jugle safari. The park situated in over 874 squre kilometers, its protract wildlife of Karnataka, you can see Gaur (Indian Bison) overthere with wild elephant, Sambars, and many other species. Overnight stay at Bandipur National Park. After breakfast, we will drive to Coonoor, enroute visit Ootacamund - queen of the southern hill stations and was a refuge for British Officials and tea planters in Southern India. We will take a sightseeing tour of Botanical Gardens, set amidst beautiful lawns orchids, ferns and more than 1000 plants, including alpines, shrubs and tree species. We will also save some time to wander around the local market and try some of the locally made chocolate before driving down to Coonoor. Upon arrival in Coonoor, check into your hotel. After breakfast, enjoy tour of Coonoor. It is also famous for Tea Plantation. Enjoy the panorama of the place and have a sightseeing tour of the Dolphin’s Nose - a huge rock resembles the dolphin’s nose. Drive through the lamb’s rock which is an admirable place for clicking the holiday snaps and from there you can enjoy the lateral view of tea estates. Lamb’s Park is a perfect and famous picnic spot in Coonoor. Also visit Sim’s park which is famous for its exclusive plant species. Evening you can enjoy the beauty of nature at your own. The next attractive and wild sight for you is Law’s Park- the ambience is going to make you speechless. Later transfer to your hotel for overnight stay. Today morning after breakfast, we will take a drive to Cochin. Arrival in Cochin and check into the hotel, also known as the Queen of the Arabian Sea, Cochin (Kochi) is one of the best natural ports in the world and is the entrance gate to the enchanting backwaters of Kerala. Kochi is the trading capital of Kerala and is one of the fastest growing cities in India. It is included of a group of islands outspread along the Vembanad Lake. An amusing ensemble of several cultures like the French, Jewish, English, Portuguese, Dutch and Chinese, Kochi is a tapestry of flaming and various colours, which attracts scores of tourist from far and wide to its shores. We proceed for sightseeing of Cochin, where we will visit Fort Cochin built by the Portuguese on an island offshore that seems to be pulled straight out of the 16th century with narrow, canal-lined streets, 500 year-old Portuguese houses, Chinese fishing nets lining the northwest shore of the island . There is also a 16th century synagogue surrounded by 'Jew Town,' which was once home to the flourishing Indian Jewish population, the oldest church in India and a palace that was built by the Portuguese, renovated by the Dutch, and eventually was given to the Indian Raja of Cochin. Evening visit the Kathakali dance at Cochin. Kathakali is a special art form, combining a unique blend of dance, drama, music, literature and painting. Watch in detail the ritual worth seeing hour long process of make-up as part of our daily Kathakali performance. After breakfast, we will drive to Alleppey, where we will embark our houseboat. Check in to the houseboat and start your cruise through the rich and impressive backwaters of Alleppey. It will be a unique and exclusive experience in your lifetime. You will be roam around along the village sides and rice fields witnessing the Kerala villages core life for the entire day. The houseboat is fully furnished with bedrooms, private balcony and a kitchen. There is also a chef, oarsmen and cabin assistants. All of the materials used in construction are eco–friendly such as bamboo poles, bamboo mats, ropes, coconut fiber, coir carpets etc. Dinner and overnight stay is at the houseboat. Today the day is at leisure for your independent activities, relax in the pool, stroll along the beaches or just roam around the shops and market. You can also choose from a huge variety of restaurants near beach for lunch, which serve excellent seafood. Try some of the Tandoori dishes - the clay ovens give a more reliable taste to breads and curries. Today after breakfast we will leave for Trivandrum sightseeing tour. Padmanabhaswami temple is the main attraction over there; you will explore the 108 pilgrimage sites for the Vaishnavites. Also find the exquisite carving on its 400 pillars. After sightseeing we will proceed to the Trivandrum airport to board scheduled flight back home or onward destination. 07 nights in handpicked hotels, 01 night in Jungle lodge, 02 nights in Hill resort, 01 night in a houseboat, 02 nights in a beach resort.